A superb personalised Fabric Tote Bag. 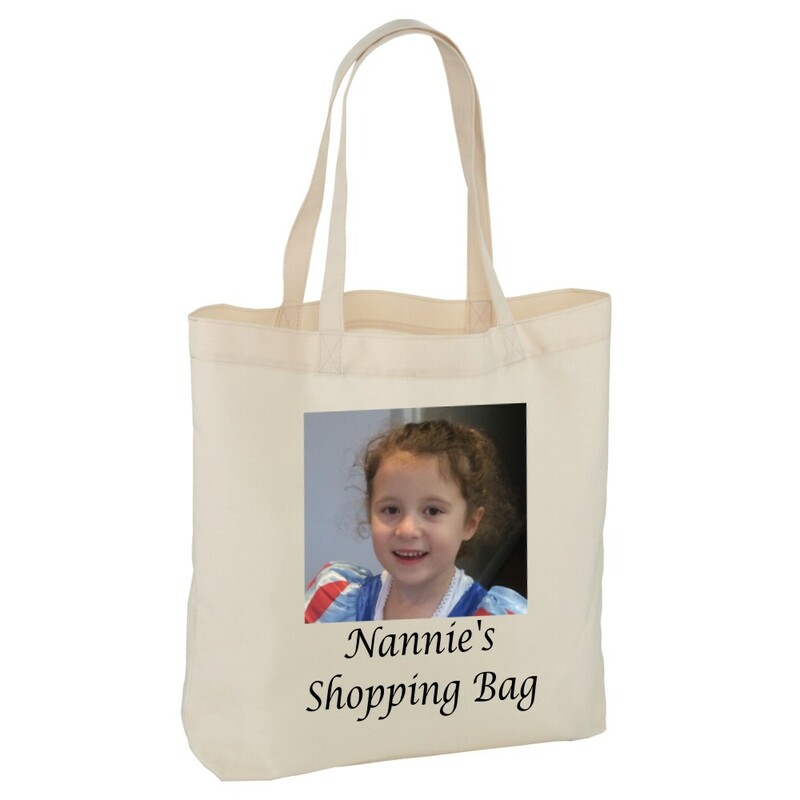 A great personalised gift to put children, grandchildren, pets, friends and loved ones on. Your photo/text will be printed on one side of the bag. Your text will be printed in black as standard, if you would like a different colour please specify this in the Customisation box along with your text. The bag is made from 100% polyester. This great bag measures 39 x 48cm with 28cm handles. It makes a perfect gift/present for all occasions, perfect for Grandma to show off her new grandchild. Great for Birthdays, Christmas, Anniversaries....it's endless! !